SHINIMICHI is a photo & travel journal written by part-time travelers and full time dreamers, Sheena Rasmussen and Michelle Rasmussen. 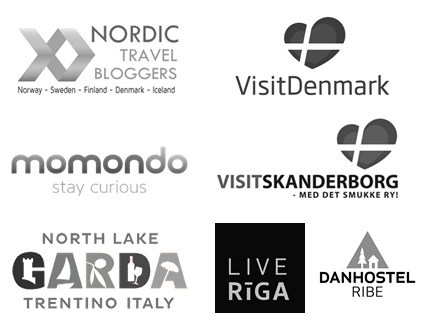 The blog is recognized as one of Denmark's most inspiring travel blogs (Skyscanner 2016) and was featured in Momondo's Travelers We Love series (2016). We are budget travelers, backpackers and outdoor adventurers. Currently, SHINIMICHI's geographic focus is on Scandinavia and Northern Europe. Through visual story telling we explore and promote the beauty of the Northern countries. We grew up in the Danish Lake Lands and was last year appointed ambassadors for our local region (VisitSkanderborg). Shinimichi is a member of Nordic Travel Bloggers (NordicTB).